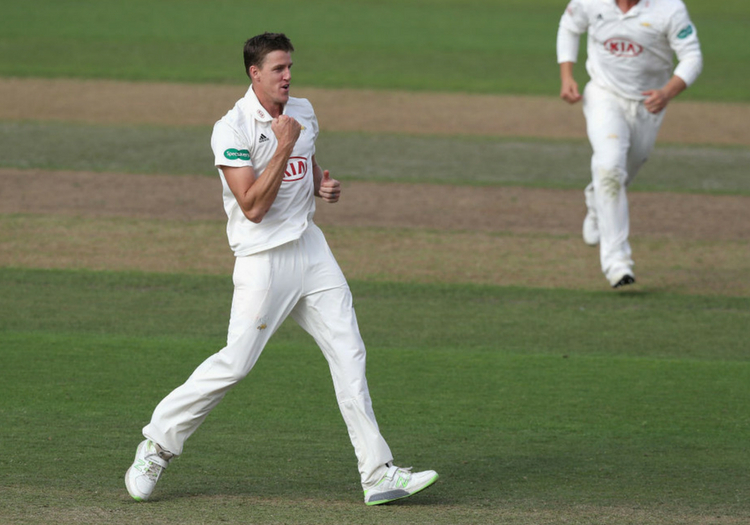 Morne Morkel swept aside limited resistance from Nottinghamshire’s batsmen as Surrey powered to their sixth win in eight matches to extend their lead at the top of Division One of the Specsavers County Championship. The former South African international returned figures of 5-60 to propel his side to a convincing victory by an innings and 183 runs at Trent Bridge, completing match figures of 9-120. Nottinghamshire, beginning the third day on 57 for one, were hustled out for only 199 by early afternoon, with Samit Patel top-scoring with 55. Home supporters, looking for a dogged fightback from their side, were quickly disappointed as Seven Mullaney was pinned in his crease by Sam Curran after just adding a streaky boundary to his overnight 19. Twenty-two-year-old Will Fraine, on debut, acquitted himself well before nicking Rikki Clarke to the diving Ben Foakes. Patel and Billy Root launched a brief counter-attack, with 45 coming in 10 overs but it couldn’t de-rail the rampant Morkel, who returned to remove them both. Patel had raced to a 42-ball half-century but was undone by the extra bounce generated by the towering pace man and nicked off to second slip. Root – no doubt aware of his brother’s bowling exploits in the Roses match – arrived at the crease looking to enjoy some family glory of his own. He hooked Clarke into the stands and then lofted Amar Virdi back over his head for six more. His enjoyable cameo was brought to an abrupt halt on 22 when Morkel struck again, as the left-hander miscued tamely to cover. Riki Wessels and Stuart Broad both fell cheaply in the closing moments of the morning session, leaving Notts on 172 for seven – and effectively done and dusted. Inside 20 minutes of the afternoon period it was all over. Amar Virdi (2-35) quickly sent back Tom Moores and Luke Fletcher, leaving Morkel to fittingly close out the contest with the wicket of Jake Ball. Surrey’s fifth consecutive victory was completed with a full haul of 24 points, to lift them 43 clear of Notts – and with a game in hand.